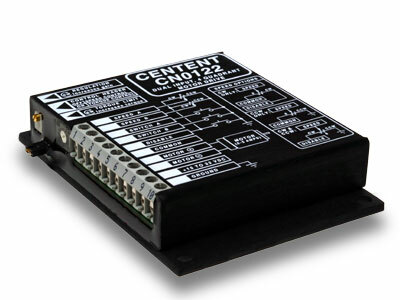 The CN0122 is a 4 quadrant (bi-directional) speed or torque control. It will control a DC permanent magnet motor in either a torque mode or velocity mode, depending on the setting of the configuration jumper setting. In the velocity mode, IR compensation can be selected for motor speed regulation with a multi-turn regulation trimpot. 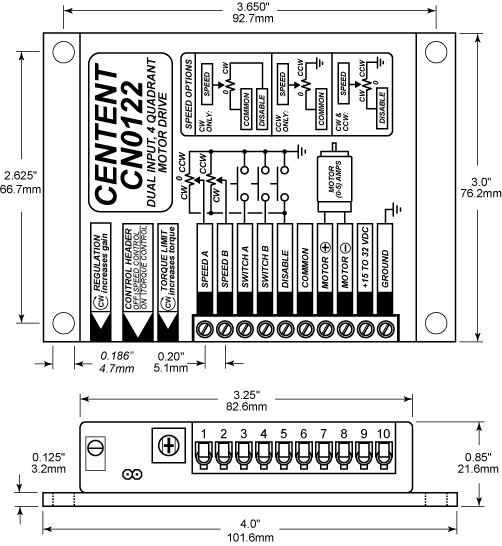 The CN0122 has two separate control voltage inputs, which can be set to two different speeds and directions. One or the other can be selected via two momentary switch inputs. This enables easy implementation of oscillating mechanisms if these switches are placed at the ends of the mechanism's travel limits and the two control voltage inputs are set in opposite directions. A torque limit trimpot sets the motor's maximum torque regardless of the speed setting. 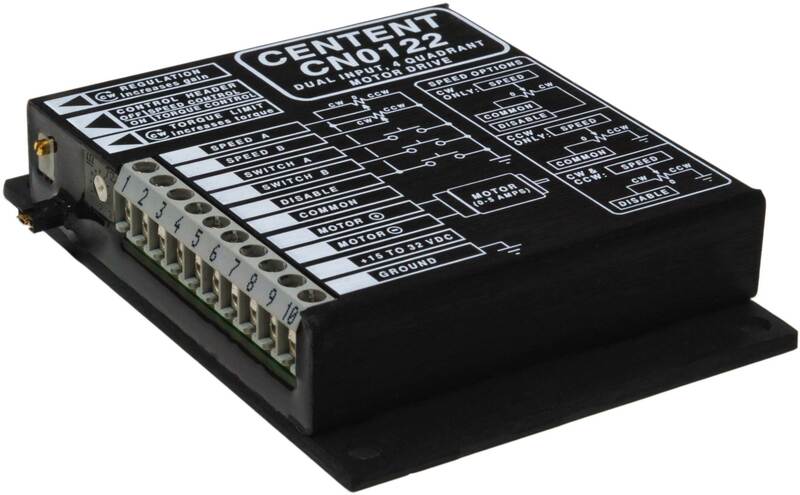 The CN0122 has a motor disable input which free-wheels the motor regardless of the control voltage inputs. The CN0122 can also be used as a servo amplifier since it supports torque mode operation. The standard +/- 10 VDC servo controller output easily interfaces to the CN0122 with two external resistors. Because the CN0122 is a linear type amplifier, it produces no electrical noise and can be used in noise sensitive applications. An epoxy-encapsulated package contributes to a reliable and rugged DC motor drive. Size: 4" X 3" X .85"
Copyright © 2019 Centent Company. All rights reserved.